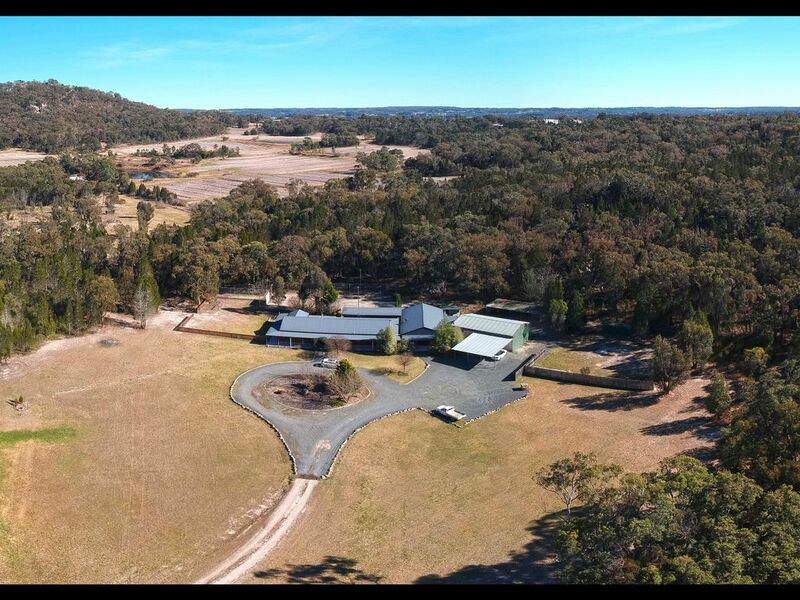 Set amongst 17 acres of dense bush, but only 4 km from restaurants and coffee shops, Stanthorpe Country Resort is the ultimate accommodation for groups in the Granite Belt wine region. Ideally suited to large groups, the resort sleeps 8 people in 5 queen size beds, in 5 separate bedrooms, and is so large you never feel crowded. When you finish visiting the wineries for the day, why not relax in the hot spa, sit by the fireplace, or challenge your friends to a game of snooker on our full size table? You have exclusive use of the facilities - there is no-one else on the property to disturb you. We offer a 12 Noon (can be later by arrangement) checkout so you can take your time on Sunday and enjoy the day rather than rushing to leave. While here, you should take the time to visit the many award winning wineries and other attractions of the region. A variety of local tour operators will pick you up from the front door. Minimum 2 night stays, and 3 on long weekends. Special - stay a third night for half price - only $1550 for 3 nights on most weekends. Cannot see the neighbours or the road from the house. Very secluded 17 acres. Fully set up for cooking. Appliances and pots and pans included. We loved this house, it was so much more than the description. Awesome for kids and although it was freezing in Stanthorpe, the house was well equipped and we were WARM. Thankyou Bob, you were really accommodating and helpful, we will be back. We had a wonderful stay at this property. The owners have thought of everything and are really great people. Perfect for group bookings. What an incredible house! We stayed here only a week ago and it had more than enough facilities to keep the 9 of us entertained, the only thing we regret is not booking for longer to enjoy being in the house a little longer. Bob the owner was the most helpful, kind owner I have ever had the pleasure do deal with. Loved this house so much we are looking at booking it again in November so we can enjoy a warmer stay in beautiful Stanthorpe. This property has everything you need for a fun stay. Games room, media room, spa, sauna, tennis court, close to town and plenty of bedrooms. The owner kindly leaves an open pantry with plenty of staples and even wine. All he asks is that you replace what you use. Like any rental, there are small flaws and perhaps a little TLC on the outdoor area wouldn't go astray, particularly the spa area, but all in all it is a great property, nice and private and definitely value for money. Clean inside with a good kitchen. Indoors it was clean and comfortable for a group. The location in relation to Stanthorpe was very nice. The outdoor area needed a good clean. We thoroughly enjoyed our stay. The house had everything we needed for a small group. Bob the Owner was a pleasure to liaise with and we will definately be considering a return visit. The house is primarily set up for winter so that would be the best time to visit!